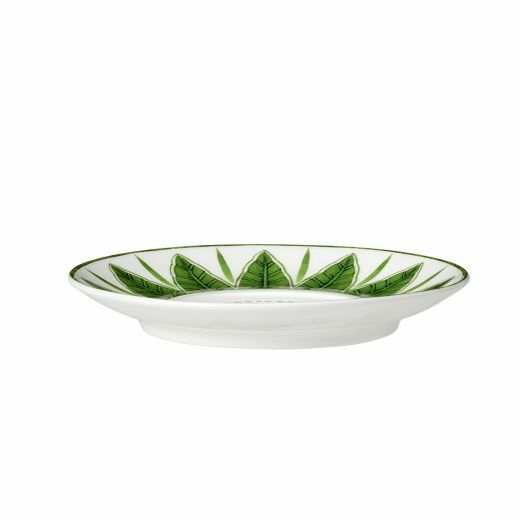 Wake up to a touch of the exotic with our stunning espresso saucer from our new Sultan’s Garden collection. 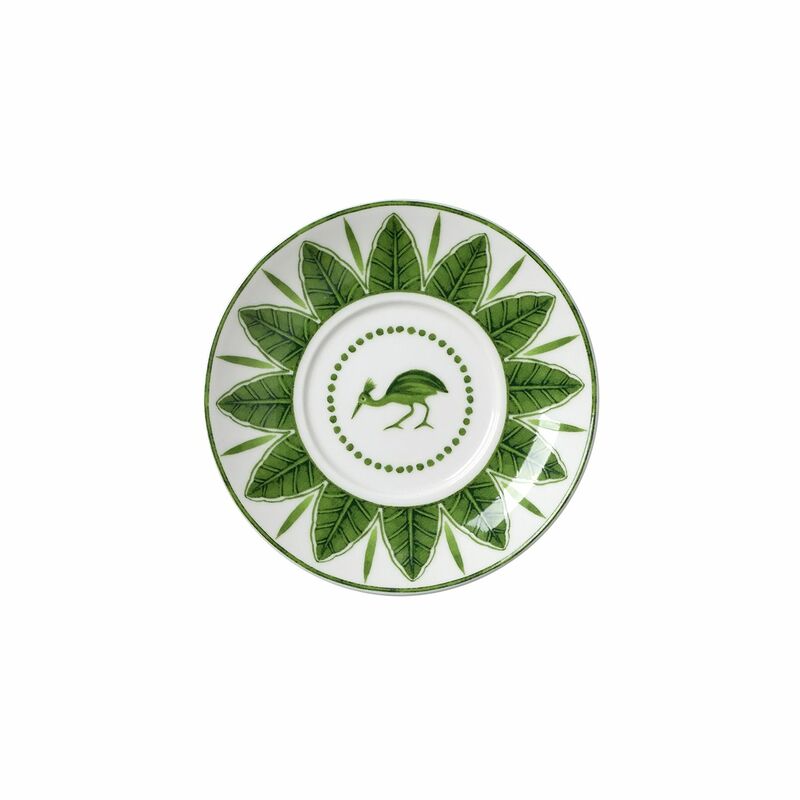 Designed in collaboration with designer Sam de Teran from the world-renowned luxury Barbados hotel, Cobblers Cove, our espresso saucers feature a hand decorated bird in the centre of the saucer, encapsulated by a vibrant patterned border and a large palm leaf. Each espresso cup saucer in this unique collection features a illustrated bird in the centre of the saucer, encapsulated by a vibrant patterned border and a large palm leaf, inspired by early near Eastern ceramic artwork. 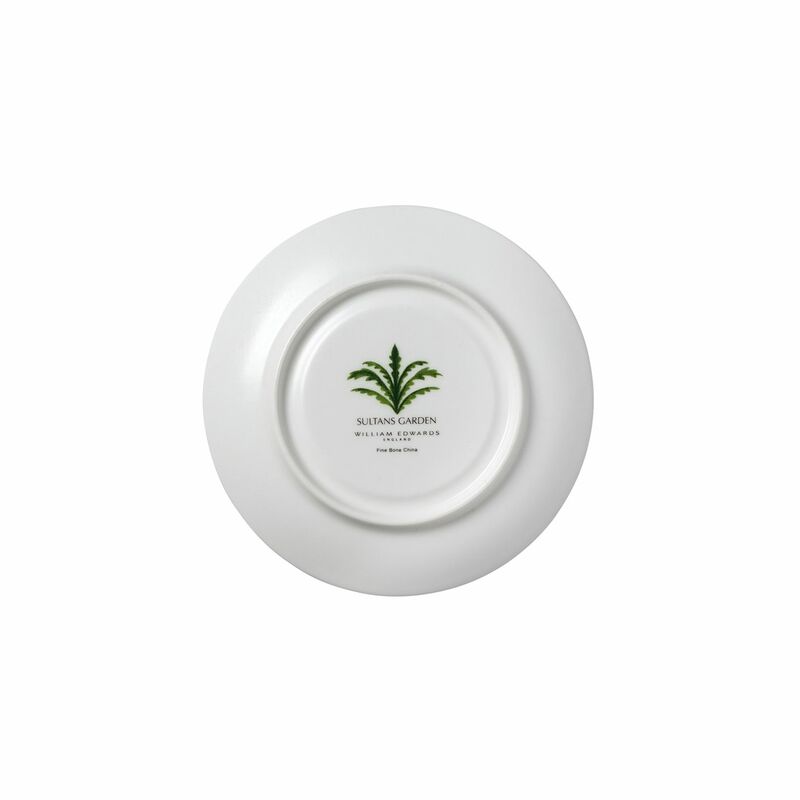 The espresso saucer perfectly complements our espresso cup, also available in our Sultan’s Garden range. Made from fine bone china, our espresso saucers are very robust and suitable for everyday use.